The Cornish business community is celebrating a double first with the news that two local entrepreneurs have been shortlisted for the upcoming Citi Foundation Microentrepreneurship Awards in Cardiff. Ben Treleaven of ISO Spaces and Adam Weisman of Clayworks were shortlisted after being entered for the prestigious awards by Truro- based Responsible Finance Provider, SWIG Finance. It is the first time any Cornish entrants have made the shortlist of the Award scheme, which was launched in 2005 to raise awareness of the importance of microentrepreneurship and microfinance in social and economic development. Both businesses received funding from SWIG Finance to help get them off the ground. Adam Weisman has been shortlisted for the Microentrepreneur for Sustainability award. His business Clayworks, which is based in St Keverne, develops and designs natural plaster from clays to replace the gypsum-based unsustainable, conventional plasters. Clayworks’ 100% natural and sustainable clay plasters have grown from serving niche residential developments to selling to a worldwide market, with customers ranging from HRH the Prince of Wales to Nando’s Worldwide. ISO Spaces’ Ben Treleaven has been shortlisted for the Microentrepreneur Award for Growth. Along with his business partner, Gregg Curtis, Treleaven launched ISO Spaces in 2013, having left their finance jobs in London to start the business in Cornwall. 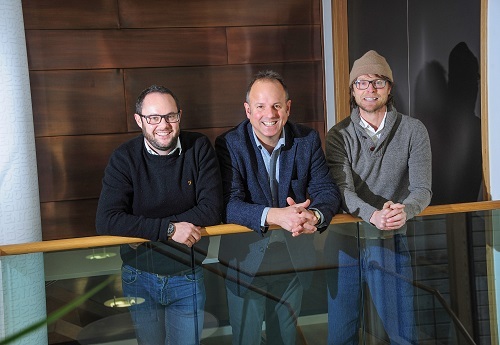 Designing and manufacturing modular buildings from recycled shipping containers, the business has quickly progressed following initial loan funding from SWIG Finance, and has recently raised a further £450,000 equity investment through a crowd funding source.